Unlock Your Huawei Phone in just few minutes! Choose your Huawei phone by selecting or searching from the drop down list. If you can't find your Huawei model contact us. Huawei smart phones are among the most popular devices on the market today. The tech giants’ combination of streamlined devices with powerful processing power, affordability and a host of must-have features are driving people towards choosing Huawei. The most popular Huawei smart-phones on the market today include the Huawei Nexus 6P (which was designed and manufactured for Google), P20 Lite, Huawei Mate 10 Pro, Huawei Mate 9 Pro, Huawei Honor Y6, Huawei Honor 5, Huawei Mate 8. This means that you can only use the phone with the carrier it shipped with (for example, if you had a device locked to T-mobile, you would be unable to use it with an AT&T SIM card). You will require a device-specific unlock code in order to use your phone with another network provider. 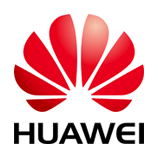 How to unlock a Huawei device to use it on a different network? If you want the freedom to be able to choose from a variety of networks or want to use your phone abroad on a pay & go basis, you will firstly require the IMEI number of your device. The unlock code for your hone can be deduced from this IMEI code, which can be found by dialling *#06# on your keypad or checking behind the battery (if your device has a removable battery, of course). How long will it take to unlock my Huawei device? With our service your phone could be unlocked in as little as a few hours! We can also unlock Huawei modem and router devices.